Our City’s Greatest Storytellers, All In One Place. The mission of the Baltimore City Historical Society’s Baltimore Book Collection is to creative a comprehensive, centralized collection of every book ever published about Baltimore, as well as any book written by a Baltimore author. The collection gives readers the unique opportunity to delve into a specific author, time period, subject, or genre. The Inspiration Behind the Collection. John Carroll Byrnes, founder and first president of the Baltimore City Historical Society, started the collection by donating his personal library. Today, the collection has grown to 400 book titles, as well as periodicals. The collection is currently housed in the Skylight Room at The Bar Library, located on the 6th Floor of the Mitchell Courthouse at 100 North Calvert Street. It has been cataloged and is now available for historians, students, and the public to enjoy. Edgar Allan Poe (/poʊ/; born Edgar Poe; January 19, 1809 – October 7, 1849) was an American writer, editor, and literary critic. Poe is best known for his poetry and short stories, particularly his tales of mystery and the macabre. He is widely regarded as a central figure of Romanticism in the United States and American literature as a whole, and he was one of the country's earliest practitioners of the short story. Poe is generally considered the inventor of the detective fiction genre and is further credited with contributing to the emerging genre of science fiction. He was the first well-known American writer to try to earn a living through writing alone, resulting in a financially difficult life and career. His work forced him to move among several cities, including Baltimore, Philadelphia, and New York City. 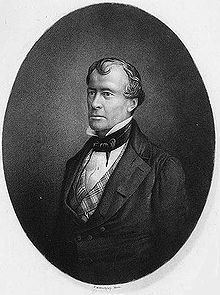 John Pendleton Kennedy (October 25, 1795 – August 18, 1870) was an American novelist and Whig politician who served as United States Secretary of the Navy from July 26, 1852 to March 4, 1853, during the administration of President Millard Fillmore, and as a U.S. Representative from Maryland's 4th congressional district. He was the brother of U.S. Senator Anthony Kennedy. He was also the Speaker of the Maryland State assembly and served several different terms in the assembly. Kennedy helped to lead the effort to end slavery in Maryland, which, as a non-confederate state, was not affected by the Emancipation Proclamation and required a state law to free slaves within its borders and to outlaw the furtherance of the practice. Frederick Douglass (born Frederick Augustus Washington Bailey; c. February 1818 – February 20, 1895) was an African-American social reformer, abolitionist, orator, writer, and statesman. After escaping from slavery in Maryland, he became a national leader of the abolitionist movement in Massachusetts and New York, gaining note for his dazzling oratory and incisive antislavery writings. In his time, he was described by abolitionists as a living counter-example to slaveholders' arguments that slaves lacked the intellectual capacity to function as independent American citizens. Northerners at the time found it hard to believe that such a great orator had once been a slave. James Mallahan Cain (July 1, 1892 – October 27, 1977) was an American author and journalist. Cain vehemently opposed labeling, but he is usually associated with the hardboiled school of American crime fiction and is seen as one of the creators of the roman noir. Several of his crime novels inspired successful movies. ain was born into an Irish Catholic family in Annapolis, Maryland. The son of a prominent educator and an opera singer, he inherited a love of music from his mother, but his hopes of a career as a singer were thwarted when she told him that his voice was not good enough. The family moved to Chestertown, Maryland, in 1903. In 1910, Cain graduated from Washington College, where his father, James W. Cain, served as president. By 1914 Cain had decided to become a writer. He began working as a journalist for the Baltimore American and then the Baltimore Sun. John Roderigo Dos Passos (/dɒsˈpæsəs, -sɒs/; January 14, 1896 – September 28, 1970) was an American novelist and artist active in the first half of the twentieth century. Born in Chicago, Illinois, he graduated from Harvard College in 1916. He was well-traveled, visiting Europe and the Middle East, where he learned about literature, art, and architecture. During World War I, he was a member of the American Volunteer Motor Ambulance Corps in Paris and in Italy, later joining the U.S. Army Medical Corps. 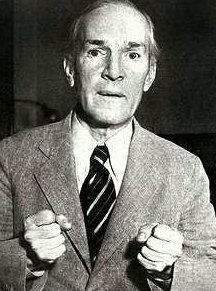 Upton Sinclair Jr. (September 20, 1878 – November 25, 1968) was an American writer who wrote nearly 100 books and other works in several genres. Sinclair's work was well-known and popular in the first half of the twentieth century, and he won the Pulitzer Prize for Fiction in 1943. In 1906, Sinclair acquired particular fame for his classic muckraking novel The Jungle, which exposed labor conditions in the U.S. meat packing industry, causing a public sanitation uproar that contributed in part to the passage a few months later of the 1906 Pure Food and Drug Act and the Meat Inspection Act. 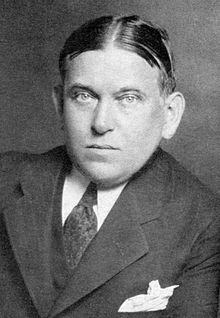 In 1919, he published The Brass Check, a muckraking exposé of American journalism that publicized the issue of yellow journalism and the limitations of the “free press” in the United States. Four years after publication of The Brass Check, the first code of ethics for journalists was created. Time magazine called him "a man with every gift except humor and silence". He is also well remembered for the line: "It is difficult to get a man to understand something, when his salary depends upon his not understanding it." He used this line in speeches and the book about his campaign for governor as a way to explain why the editors and publishers of the major newspapers in California would not treat seriously his proposals for old age pensions and other progressive reforms. Francis Scott Key Fitzgerald (September 24, 1896 – December 21, 1940), known professionally as F. Scott Fitzgerald, was an American novelist and short story writer, whose works illustrate the Jazz Age. While he achieved limited success in his lifetime, he is now widely regarded as one of the greatest American writers of the 20th century. Fitzgerald is considered a member of the "Lost Generation" of the 1920s. He finished four novels: This Side of Paradise, The Beautiful and Damned, The Great Gatsby, and Tender Is the Night. A fifth, unfinished novel, The Last Tycoon, was published posthumously. Fitzgerald also wrote numerous short stories, many of which treat themes of youth and promise, and age and despair.